This post continues my chronicle of moving to a new apartment in Japan. Last post we started looking at the contract and other documents you sign before you move in. Today's post covers two more important notices I got from my agency at this stage. So I've looked at and inkan stamped the two biggies: ① The Contract, and ② The 重要事項説明書. What remains to be clarified is through what means I'll be paying for this apartment month-to-month and the bill from the agency that must be settled before I can move in. A lot of apartment owners will expect payment by 振込 (furikomi), or bank transfer. If this is the case for your apartment, the owner's (or property manager's) bank account information will be included on the contract, and a "transfer by" date will be written somewhere. For example, 毎月末日までに翌月分を支払うものとする ("deposit next month's rent by the end of the current month"). It might be on an arbitrary date like the 25th or 27th instead of "by the end of the month." 1) You have to foot the bill for the furikomi processing fee. This runs somewhere around 300~500 yen. If you are bank savvy, you'll have an account with an online bank that offers account holders a few free furikomi per month. Premium accounts at traditional banks sometimes also offer this service. 2) You have to remember to initiate the furikomi every month. If you don't remember to do it, the rent goes unpaid. 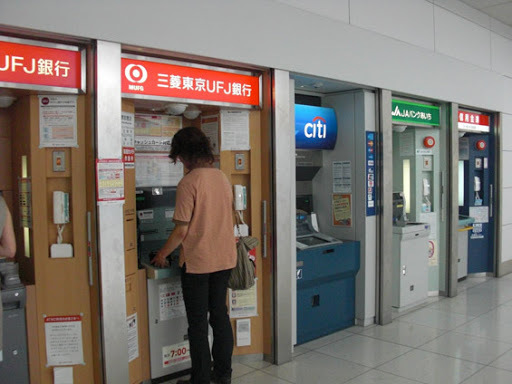 There is a solution for this as well; many banks offer an automatic furikomi service. You can request that a certain amount of money is sent to a specified account on a particular day of the month, every month. The trouble is, usually the fees for this automatic withdrawal will be separate from standard furikomi fees--which means that even if your bank offers you three free transfers per month, that allowance may not apply to automatic transfers, and you'll end up paying the 300-whatever yen anyway. 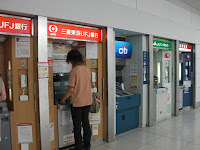 Some property managers are starting to accept credit cards or other automated methods of transfer (like a 預金口座振替, known as a 自動払込 at ゆうちょ銀行) in which they foot some or all of the processing fee instead of you (although they are probably accounting for this expense in your initial rent). If this is a must have feature for you (because hey, paying rent on a card means racking up a lot of points), mention it at the outset of your apartment search. The agent will know which properties can take a credit card. Finally, the agent will provide a receipt of your outstanding balance. This is the difference between the total cost of the shikikin, reikin, first month's rent, insurance premium, finder's fee (仲介会社手数料), and the deposit that you paid in order to reserve the apartment. This is probably a big chunk of change, something in the 15万円 neighborhood for a cheap apartment with a small shikikin and reikin, up through 30万円 for mid-level accommodations and I'm sure much, much more on luxury properties. You'll be expected to furikomi this outstanding balance to the agency within a few days. That is, unless your agency also happens to be the property manager or owner of the building you're moving in to, you'll be sending this money to a different place than your future monthly rent payments. The agency will clearly specify on the receipt what account they expect you to send the money to. After I am done, the agent pops my contract into an envelope: It will be sent by mail to my guarantor, who will have to sign it himself. He'll also stamp his inkan, but when he returns the document, he'll need to enclose an 印鑑証明書, inkan shomeisho, since he isn't here in person to sign. He also has to, once more, provide proof of his income by sending along a copy of his monthly pay stub.